Constructed with mobility, comfort and performance in mind across all backcountry scenarios. Robust synthetic construction and utilitarian design meet to create Kryptek Apparel's best-selling pant. Plentiful pockets and thoughtful ergonomics make this a favorite for multi-day early spring, fall or late-fall hunts. Designed for high exertion in cool-to-mild conditions. Constructed with mobility, comfort and performance in mind across all backcountry scenarios. Robust synthetic construction and utilitarian design meet to create Kryptek Apparel &apos;s best-selling pant. Plentiful pockets and thoughtful ergonomics make this a favorite for multi-day early spring, fall or late-fall hunts. Designed for high exertion in cool-to-mild conditions. Specially designed for those geographic regions and elevations that are varied. Kryptek Highlander™ increases stealth when pursuing a wide range of quarry in mixed terrain. 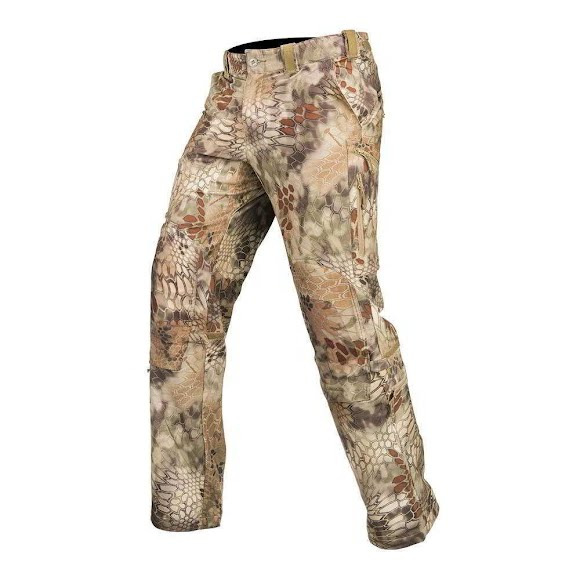 I purchased the Kryptek Men's Alaios Pant as a Christmas gift for my son. He loved them! His comments were "excellent, fit, incredible comfort and design". We will be ordering more in the near future for my other 3 hunters! His brothers want the exact pair.